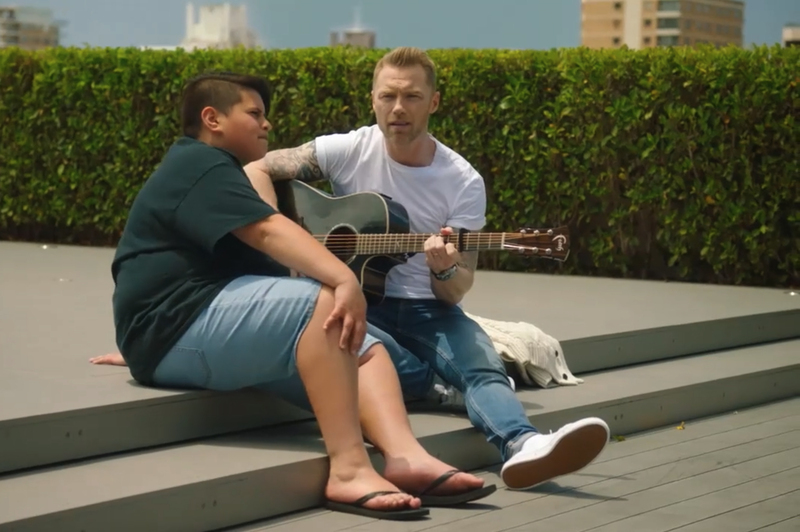 Air New Zealand has launched “Summer Wonderland”, the Christmas 2016 commercial featuring Irish singer Ronan Keating and rising Kiwi acting star Julian Dennison. 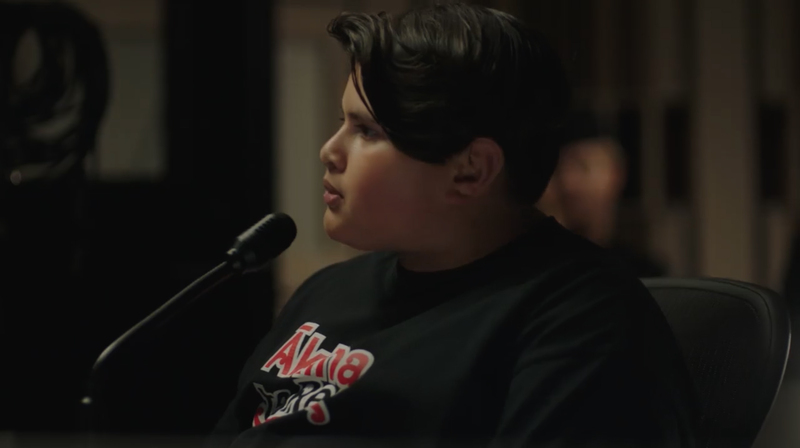 Julian (Hunt for the Wilderpeople and Paper Planes) collaborates with Ronan in and out of the studio to record a uniquely Kiwi take on “Walking in a Winter Wonderland”, rewritten to celebrate the magic of a Southern Hemisphere Christmas. 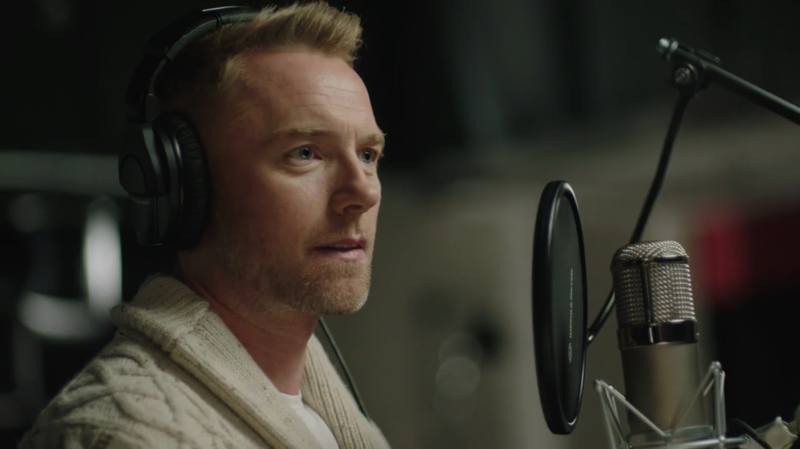 Ronan starts off in the studio wrapped in a warm woollen sweater, watched by two Air New Zealand staff. Julian, in the mixer’s seat, constantly interrupts with suggestions for new lyrics. The final straw for Ronan is adding “snoozing on a competitively priced Air New Zealand sky couch”. The action moves outside where Ronan has discarded the winter woollies and picked up an out-of-tune guitar. The collaboration moves to a much more equitable songwriting partnership. The lyrics, sheet music, mp3 recording and video are all online at airnzchristmas.co.nz. The Air New Zealand Summer Wonderland campaign was developed at Host, Sydney, by executive creative director Bob Mackintosh, creative director Jon Austin, managing director Laura Aldington, planner Tobey Duncan, content production producer Eleanor Rout, digital producer Chris Smyth, and account manager Andrew Dengate. Talent integration was by Bring. Filming was shot by director Craig Melville via Jungle with producer David Curry. Sound and music were produced at Song Zu by arranger Nathan Cavaleri and mixer Simon Kane. Lyrics were written by Bob Mackintosh and Jon Austin. The original song was released in 1934 by composer Felix Bernard and lyricist Richard B. Smith.